By Terry Expert 2017 Collection - Are we SOLD ? 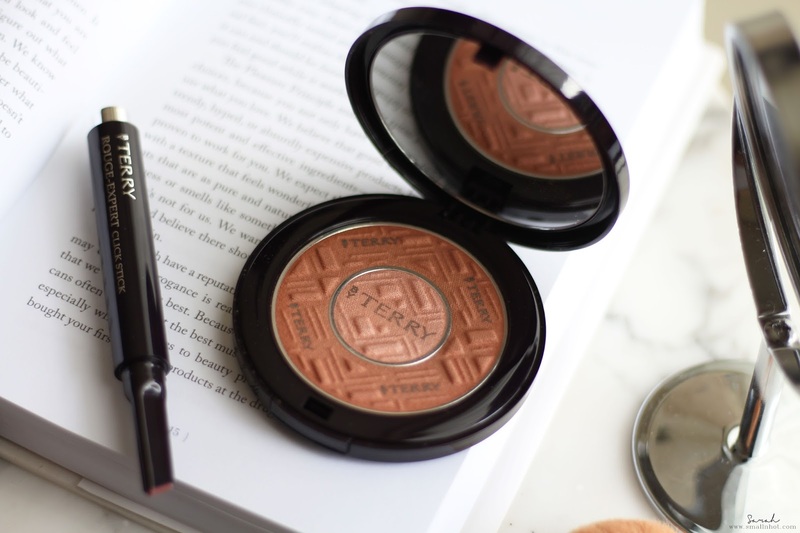 By Terry Compact-Expert Dual Powder All-Over Perfection Mat & Glow is ideal for all skin tones to instantly matify, highlight and set makeup for an all-over perfection. Enriched with IMC (Intensive Mimetic Camouflage) technology and premium self-adaptive light-focus pigments, its airy soft-touch texture can be applied in single or duo shades, alone, for lightweight touch-ups or over foundation to provide a flawless natural looking-glow. You'll LIKE how it blends flawlessly into your skin, giving that natural glow without over doing it. You'll HATE it because it is very lightly pigmented. This dual powder is designed to impart a sheer and luminous healthy glow to the skin without a hint of heaviness on your skin. 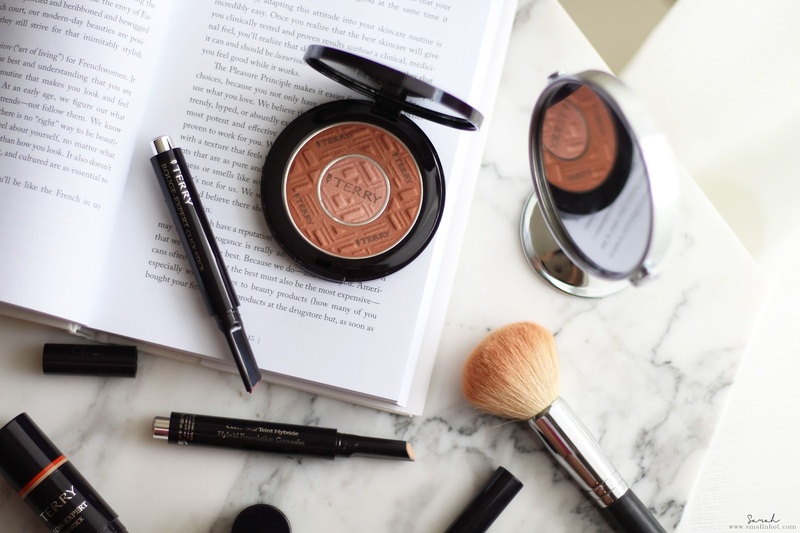 It comes in 8 shades with the combination of lightly bronze to rosy pink and glowy highlight. I personally find it rather hard to find the right combination because most of the duo shades are pretty similar in term of colour. So you might need to spend a little more time for a swatch-a-thon at the store. Formula-wise, it is very powdery and lightly pigmented. If you are going for a natural makeup look, all you need is just a sweep over your cheeks and a touch of glow appears. No glimmer, no shimmer, just a slightly glowy cheek. You can also build up the coverage to a more glowy finish but that is as far as you can go because the formula is very lightly pigmented, definitely not the stage make-up kinda powder. 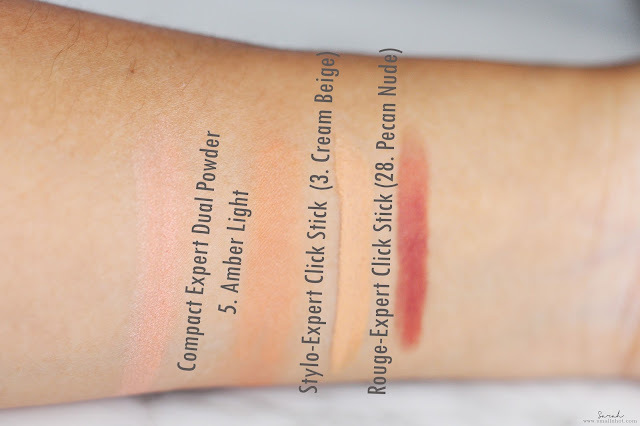 By Terry Rouge-Expert Click Stick Hybrid Lipstick. No more compromises : one click and you can have it all ! 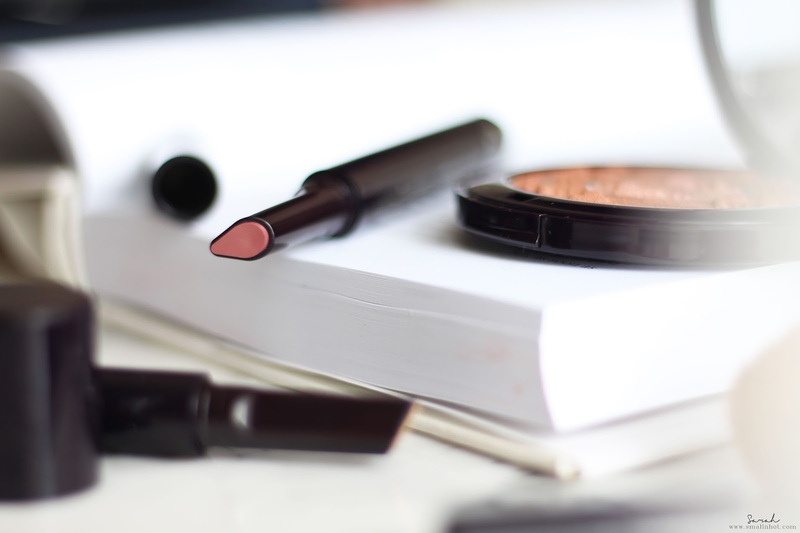 This 3-in-1 hybrid lipstick is rich like a balm, precise like a pencil and intense like a premium pigment. You'll LIKE how creamy it feels on your lips. You'll HATE it if you have dry lips because it will settle into the crack. 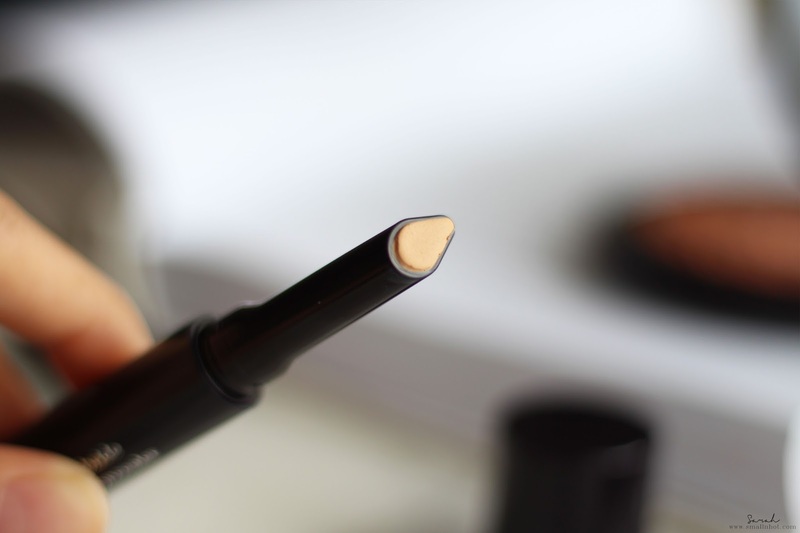 By Terry Stylo-Expert Click Stick Hybrid Foundation Concealer is the all-in-one multi-tasking concealer for easy and precise touch ups in a single click to reveal the most well rested look ever. This creamy lightweight formula provides a velvet smooth finish to erase, conceal, brighten and contour. You'll LIKE how it blends well into the skin like as tho there's nothing there. You'll HATE it because it can get slightly drying under the eyes. The Stylo-Expert Click Stick Hybrid Foundation Concealer has quite a thick formula but still blends very well into the skin. All you need is just blend, and blend because once it's blended in, it gives a brightening effect without looking too obvious. There's no shimmer or dewiness to the formula and it comes with a pretty decent medium coverage for dark circles and redness. The downside with this concealer is that it can get quite drying under the eyes after a few hours of application. I can see it settling into fine lines around my eyes and because of it's slightly drying formula, it doesn't seem fit to conceal blemishes, as you can see patchy-ness around it later on. If they make the formula more creamy then it would be perfect for me but as for now, I just don't see the reason of keeping it in my makeup bag.